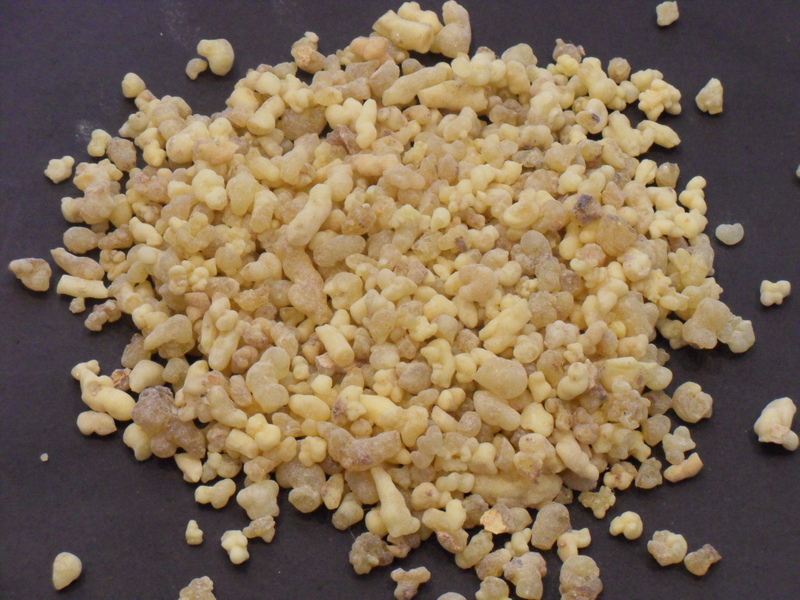 Frankincense is a resin found in four major species of trees common to the genus Boswellia. These trees are recognized for their amazing constitution in withstanding the harshest of growing conditions and have been known to seemingly spring forth from pure rock face! It is said that the most aromatic of all frankincense is believed to be as enduring as the stone itself. To name a few, Boswelia Carteri, Boswellia frereana, and Boswellia sacra are known to produce this resin, which, true to its aromatic qualities, is used in perfumes and particularly in incense. Olibanum essential oil is separated from the resin during steam distillation. 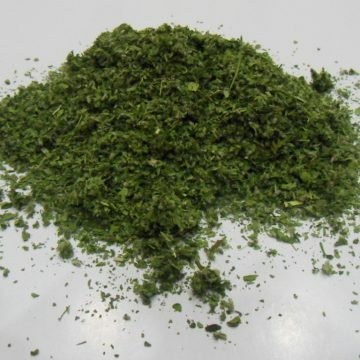 It is this oil that is used in the production of perfume and even cosmetics and pharmaceuticals. Trees only begin to produce resin after their eighth year. After harvest, the bark of the Boswellia is hacked open and its resin seeps from these carefully inflicted wounds. The bleeding resin hardens into ?tears?. This process is known as “tapping”. Tapping takes place 2 to 3 times a year and the last of these harvests begets the most aromatic of the year?s tears which is undoubtedly influenced by higher contents of terpene, sesqiterpene and diterpene. 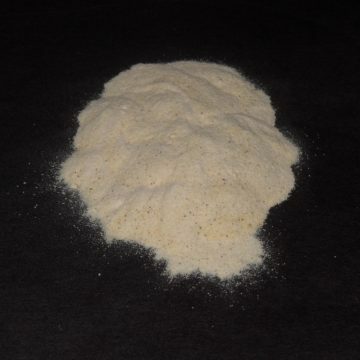 Depending on which species of Boswellia the resin is harvested from, and more closely associated with the timing of the harvest, different grades of frankincense are available. Quality of soil and temperament of climate may also play a part in the occurring grade of resin, creating range even within a like species. It is interesting that, in this modern age, the resin is still hand sorted to be separated into different classes of superiority. 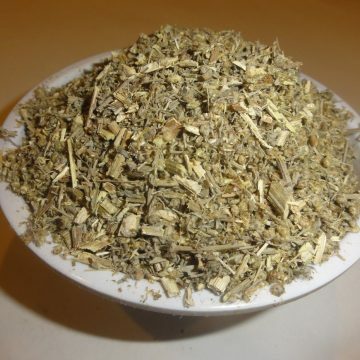 Indian frankincense also known as ?dhoop? has been used for hundreds of years by Ayurvedic medicine practitioners to aid in the recovery of wounds, ease arthritic discomfort, and support hormonal health in females as a purifying agent. It is believed in the Indian culture that burning frankincense incense every day in your home will promote good health, not to mention repel mosquitoes. Frankincense is edible, and according to Asian beliefs it promotes good digestion and healthier skin. 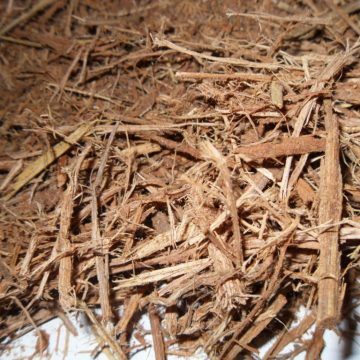 It can be chewed like a stick of gum but must be pure for proper digestion. In other words, its coloring will be translucent with no visible imperfections, unmarred by dark blotches. 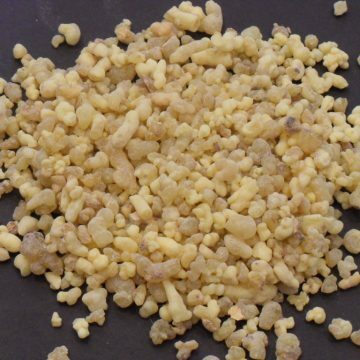 Today, scientific researchers are looking into the uses of frankincense as a treatment for Crohn?s disease, ulcerative colitis, and osteoarthritis. Furthermore, scientists at John Hopkins University and the Hebrew University of Jerusalem have found that the incense smoke contains medicinal properties, and when tested on mice, it relieved depression and anxiety. As much as Frankincense has its uses today, it has a history that extends back thousands of years. According to the Bible, frankincense was among the gifts brought before Christ by the three wise men. Traces of frankincense resin have been found in King Tutankhamen?s tomb. And in ancient Egypt, the resin was scorched by flame and then ground into a powder they called ?kohl?. This was then applied as an eyeliner. Eaten, burned as incense, painted on, a little dash behind the ears and a spritz on wrist? choose your variety? just know that it makes sense to choose frankincense.